This is the week that those of us who work in mental health usually think about suicide prevention and we are doing that in the Youth Program at The Royal. However, I am also researching red measles and contemplating whether there is anything particular for us to do considering the outbreak of 3 cases in the Ottawa region. Two of the cases are in children and one is in an adult – it is possible that there will be some unvaccinated or undervaccinated individuals in our programs. What will we have to do to keep our staff and our patients and their families safe? I know that there will be clear directives on how to manage the risks as an institution, but how can one be assured that the public will follow the recommendations? This is a reasonable question because of the number of people who choose not to vaccinate their children. At the very least, this outbreak provides an excellent opportunity for us to educate the youth about red measles and vaccinations and we will undertake this in our regular programs. In general, the youth are keen to learn about safety issues related to health so we will see if this extends to Infectious Diseases. I am curious about the insights the youth in our program might have, since many have provided thoughtful opinions about how to improve our service and make it more convenient and helpful for them. I am particularly interested in their thoughts about convincing people to be vaccinated, especially because of those who still consider vaccines to cause harm. It is likely that it is this concern – mostly unfounded – that has resulted in the outbreak we are currently experiencing in the region. Rereading these blogs now, I realize that the 2% of people in this region who are not vaccinated or undervaccinated will not only have a complicated few weeks, since they are not able to be out in public, but they will also have an impact on public health measures in schools, clinics, hospitals, public spaces and doctors’ offices. According to the World Health Organization, a disease outbreak is “the occurrence of cases of disease in excess of what would normally be expected in a defined community, geographical area or season.” In fact, in this part of Canada, even one case of measles would be considered an outbreak by this definition. What could I say that could convince people to get vaccinated? Some researchers cite studies that show that mandatory vaccination is actually not necessarily helpful in increasing vaccination rates. Why do you think that is? Some doctors will not see patients who are not vaccinated. Is this reasonable? Like most physicians, I am a firm believer in prevention and, because of this, in vaccines. Why is the science that vaccines prevent serious illness not compelling enough that everyone is vaccinated? Why won’t people believe it the evidence? I often wish it were possible to inoculate the young people I see against depression and suicide but, alas, there is not yet any such simple preventative measure that can be taken. 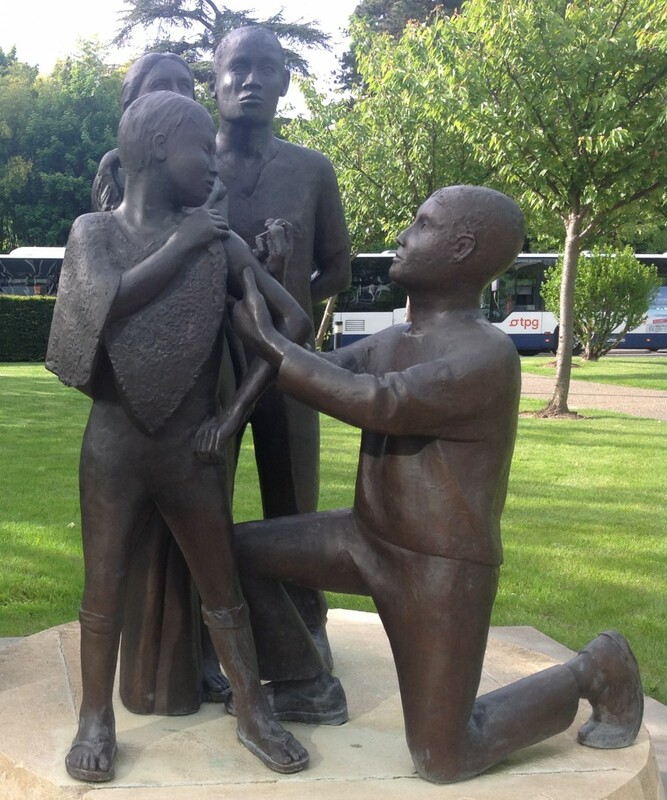 Vaccines have played such a large role in the prevention and elimination of disease that there is a statue on the lawn at the World Health Organization that recognizes the role that the polio vaccine has played in the prevention of that disease. As I think about suicide prevention this week, an outbreak of measles will remind me that just having the right preventative measure is not always an answer. It seems that even when the prevention is found so can a reason not to use it. Your closing sentence is poignant, indeed, Gail. Thanks for addressing the very important issue of the benefits of vaccination.